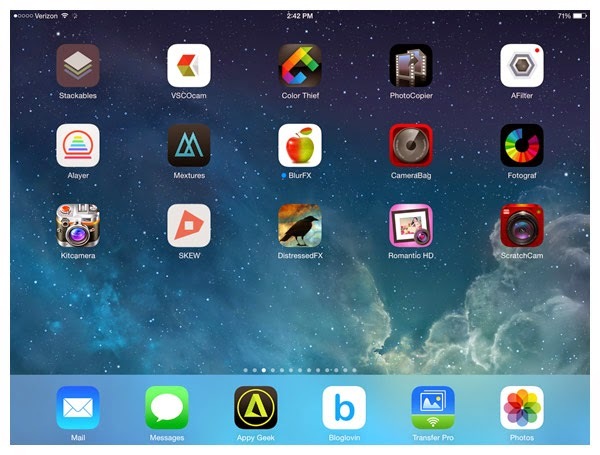 In my previous post I reviewed the new version of BrushStroke 2 and now I will demonstrate how to get the most out of BrushStroke 2, including how to combine the application with others and announce another GiveAway for BrushStroke 2. 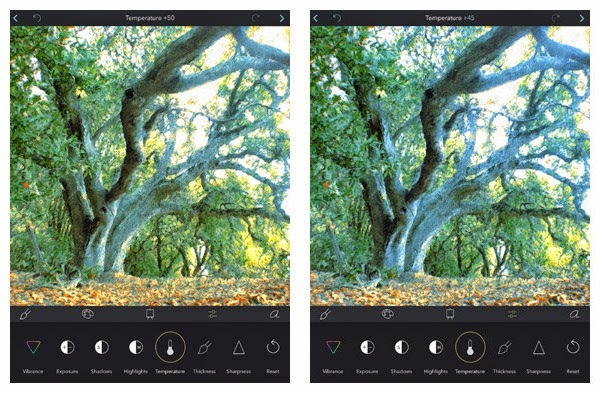 While the new version of BrushStroke has been given many new filters, including more control over these filters, it should be noted that in preparing a file prior to introducing it to BrushStroke 2, can and will have an impact as to the outcome of how the image appears after post processing in BrushStroke 2 or any other special effect post processing program. It also should be noted that since BrushStroke 2 is a special effect program with a distinctive purpose, the image itself needs to be considered, along with what the users intentions are in what the images final appearance is like. 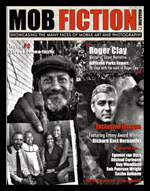 Prior to introducing ones photograph into BrushStroke 2, adjusting ones image over all appearance should be done. Making sure there are details in the highlight areas, as well as in the shadows, along with a good over-all exposure balance. Consider any possible retouching should this be an issue along with sharpening or blurring the image any. 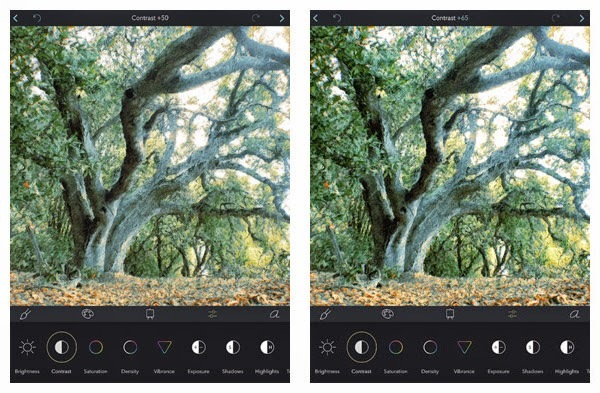 The iOS purists believe that only an iOS post processed image qualifies as an iPhoneography image, other may wish to use PhotoShop to simply improve the images over all appearance. 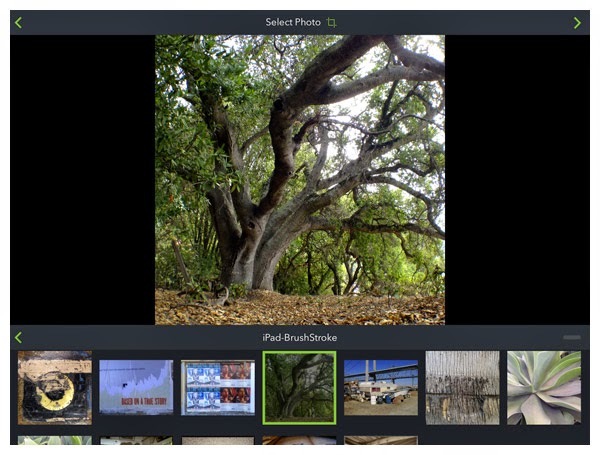 If you do stay within the iOS system, there are a number of programs like SnapSeed, Photogene, iPhoto, PS Touch, Handy Photo, Leonardo, and a number of other programs. No matter how you go about it, the better the image prior to introducing into BrushStroke 2, the better the results. 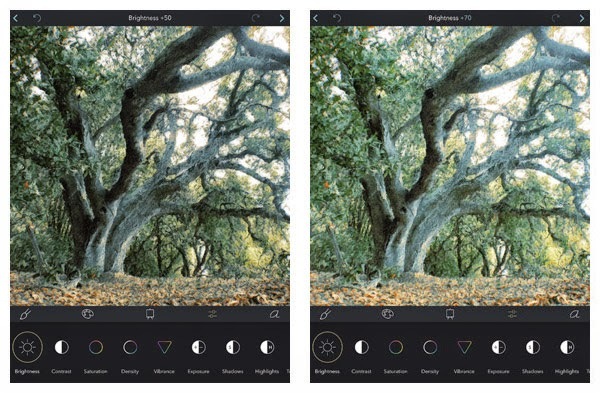 You may even divide to go a step further and enhance your photograph with layers of textures with programs like Stackables, Mextures, VSCOcam, AFilter or ALayer. 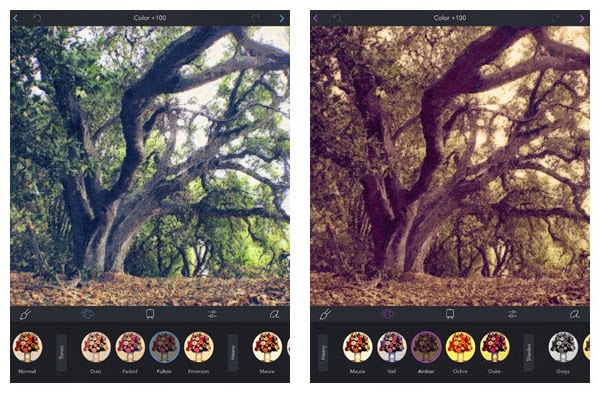 Even a program like ColorThief, which alters the colors of a photograph with the introduction of another could be considered helpful in the preparations of ones image before introducing it into BrushStroke 2. Now that we have prepared our photograph for BrushStroke 2, let’s have a look at the following various steps within the program. In order to remain truthful as to the results achieved with BrushStroke 2, I have made no alteration to the original image prior to introducing with in BrushStroke 2. Once an image has been selected and introduced to BrushStroke 2, the program will apply a default paint style, which is Oil #01. 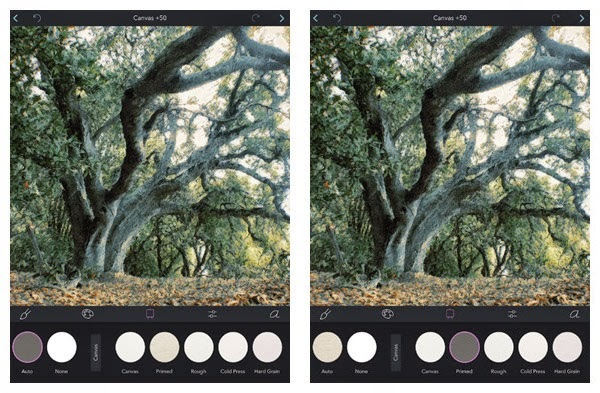 From here the user then chooses from a variety of paint filters. After trying a number of various filters and settings, I have selected Oil #05 and tried these at different strengths from zero to 50 and then 100%. This is to see how much effect the filter has upon the photograph and have chosen the strongest strength in order to maintain greater detail. 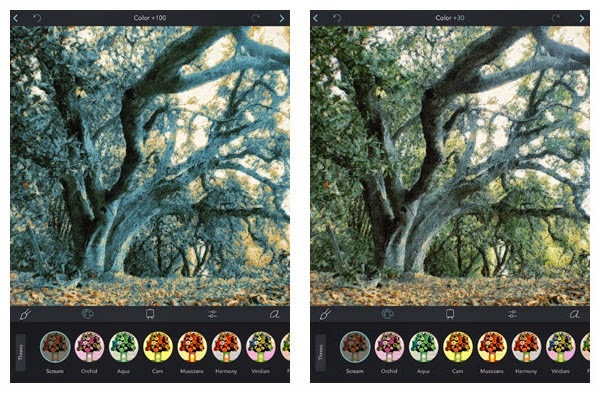 The next step in the process is the Tone layer category and it is here we can add a color mood or in addition change the appearance of the altered photograph from a painting towards a watercolor or drawing. After trying a number of different categories as Tones, filter Fulton. From there I tried category Heavy with filter Amber; and in the next screen shots, two filters in category Varied, with Willow, then Amaranth. I finally settle on Themes and filter Scream. For the look I am going after is an early morning light in which the rising sun has little to no affect upon the color of the light, therefore a moderate shift towards the blue tones. When the filter is applied at 100%, it is too much blue and the scene appears more like late even after the sun has set. When the setting is changed to 30%, we see that the leaves change from a bluish tone to more its natural color, green and still yet having the feel of early morning. The 3D category layer deals with canvas textures, various types of paper and color, and the last category consist of different hard surfaces. The default for this category layer is Auto. Because of the subject matter and what I’m trying to be achieve, I try to use the Primed filter in the Canvas category, then one of the colored papers. We see that the selection of Blue now colors in the sky, while also pronouncing the area undesirable. In the end, my choice is to select None. We now head into a very powerful layer category where we are given the opportunity to make final changes as to the appearance of our converted photograph. The first of many adjustments is Brightness and the default setting here is 50%. Since the goal I am trying to achieve is early morning and a little more brightness in the highlights which will cause a slight blur, I move the slider to 70%. Brightness is followed by Contrast. The default setting here is also 50%, which I bumped to 65%. Saturation default setting is 50% and here I make no adjustments at all, but may come back after I completed with this Adjustment layer category. Now we come to one of my favorite controls in this category, Density. This is one of the few filters that does not default at 50%, but rather 39%. I normally like to bump up Density to over 50% and in this case I settle for 75%. Though I like using Vibrance from time to time, I decided to bypass this filter because early morning colors are cool and so if I would apply some degree of vibrancy, the color of light shifts and would now appear more like morning then early morning. Because increase in Density rendered the scene darker, I now need to alter the exposure to retain my earlier editing. The default Exposure setting is 50%, which I then increased to 66%. The Shadow filter is another one that does not default at 50%, rather 0%. Since there are going to be no adjustments made here, the next filter, Highlights, defaults at !00% and once again I make no adjustments. Last Saturday, when I reviewed BrushStoke 2, I said that of all the adjustment filters, Density and especially Temperature were my favorite ones. In the next tutorial, we will look at the awesome power of Temperature with a variety of images. As you can see that a slight shift from the default setting of 50% to only 45%, the scene takes on a more cool morning appearance. 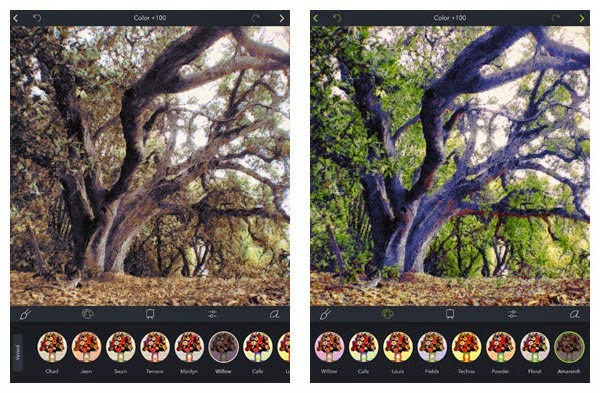 As we come to the last two filters in the Adjustment category, one is given the option to alter the thickness of the painting’s brushstroke surface . The default setting for Thickness is 50% and I elect to reduce the amount to 35%, as this softens the edges of the brushstrokes. The last adjustment available in this category is Sharpness, with a default setting of 0%. Again I elect not to make any changes here, especially since I lowered the thickness in the previous filter. 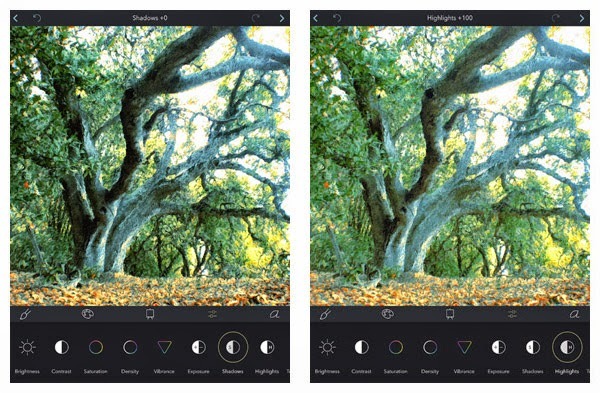 While we are given the opportunity to sharpen the image, we are not provided with a Blur filter and this I have mentioned in my review of BrushStroke 2 and asked the developers to consider adding this to future updates. We now have arrived to the final category layer, Signature and this one has also been updated in version 2 of BrushStroke. We are now able rotate our signature and even add a shade of color. Of the five colors, two are default and these are white and black. 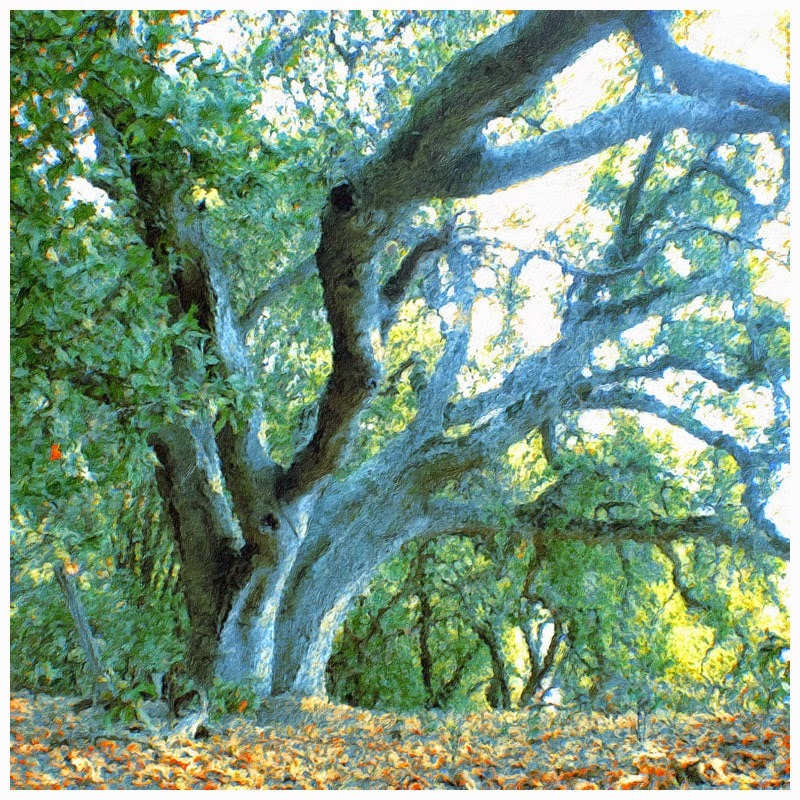 The remaining colors are sampled form the transformed photograph and in this case, a dark green, then a cool shade of blue, with the fifth color sample being picked up from the leaves on the ground and rendering this sample camel color. After resizing the signature and moving it around on the bottom of the image, I felt it was lost and since I did not wish to have it any larger, the decision was made to leave it out from the final art work. 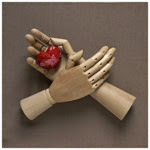 As we come to the end of our post work efforts, it is time to save our new art work. The first options we are given is to either Save, Share, or Ship. Obviously one will choose Save first before deciding to move on to either Share or Ship. The sharing options are to Twitter, FaceBook,Instagram, eMail and to add the image as a text message. What one is not given is a link to Pinterest, which I already remarked on in my review. 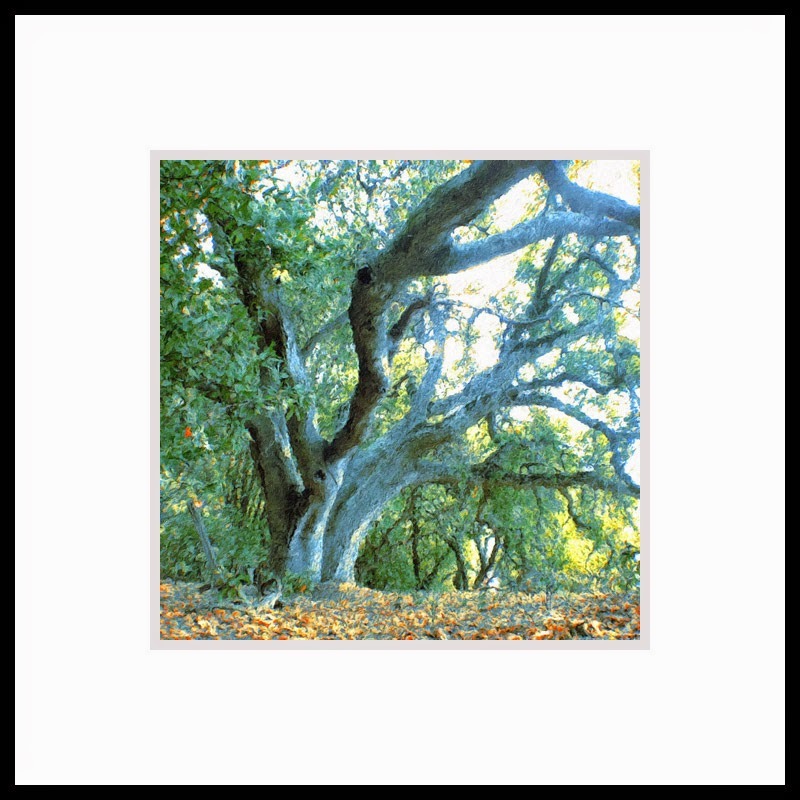 Our last option is to have the item printed as a poster, made into a canvas print or have the artwork professionally framed. 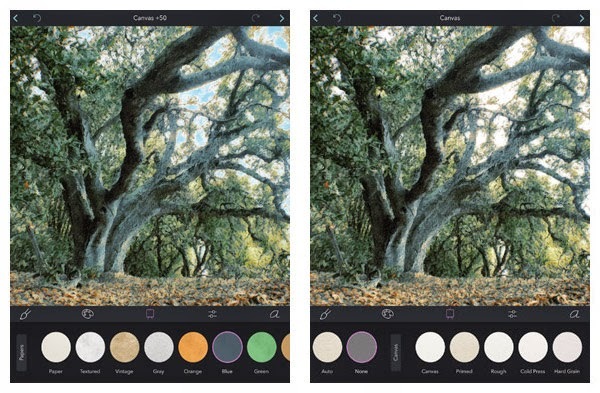 The developers of BrushStroke have teamed up with CanvasPop. Here is the final version of our transformed photograph into a BrushStroke 2 painting. In our next tutorial we will look at using specific tools in the Adjustment category layer as Density and Temperature, to achieve a variety of moods from a single image. The people at Code Organa are going to provide me with a number of redemption codes for there newly updated program BrushStroke, including ToonCamera. ToonCamera is an amazing video and photography app that turns your world into a live cartoon. 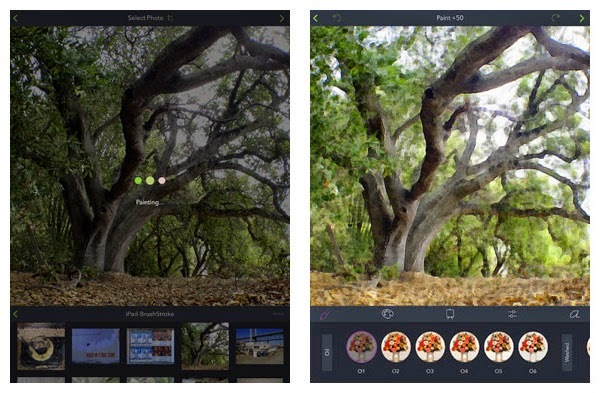 Apply real-time cartoon and art effects to your camera feed, record video, snap photos, and convert existing video and photos from your albums to create instant works of art. See the ToonCamera video at YouTube. 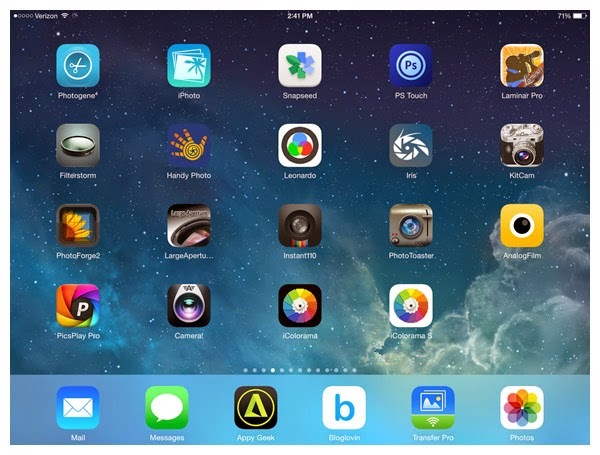 Here is how you can get you copy of BrushStroke 2 and ToonCamera. Leave a comment on this post and make sure I am able to reach you when winners are announced. Contest ends on Sunday, November 23 at midnight Pacific Time. Drawing will be random and winners are announce on Monday, November 24. Good Luck !